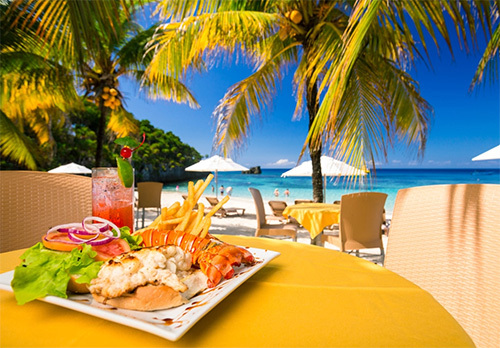 Located directly on the beach at the far end of West Bay, The Iron Shore Grill serves up delicious cuisine ranging from seafood, steaks, salads and ceviche to a good old-fashioned burger and French fries. The Grill’s indoor and outdoor seating areas overlook the white sands of Iron Shore, offering a dramatic backdrop for your dining experience. The menu is complemented by a diverse offering of cocktails, from specialty libations like the Monkey La La and a signature Frozen Margarita to a wide variety of domestic and imported beers and one of the most extensive wine selections on Roatán.